The 44-year-old actor has revealed his eight-year-old daughter Ava would get frightened when her father, who plays superhero Wolverine in the 'X-Men' franchise and spin-off films, got hurt in fight scenes. 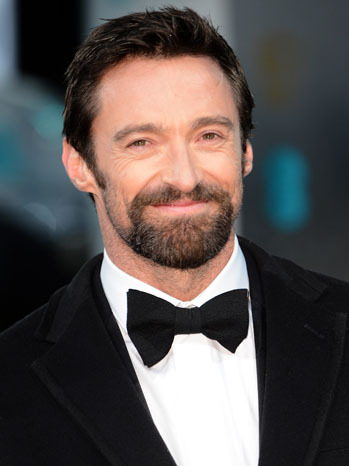 Jackman said: "My daughter has seen them [the 'X-Men films] now on TV. When the last one came out she was five or six and she used to get really upset when I was on screen and in danger ... because Wolverine can heal I'm constantly getting shot or stabbed. "She would get really upset when she saw it in the trailer, and I shielded her from that and now she loves it." The Hollywood hunk also has a teenage son Oscar with his wife Deborra-Lee Furness. Jackman - who plays the character for a sixth time in 'The Wolverine' - says his son tells his friends his father isn't cool, but boasts about his action man status on the big screen to impress girls. "On the other hand, I also hear him talking to girls and he says, 'My dad's Wolverine.' So he's figured that out!"